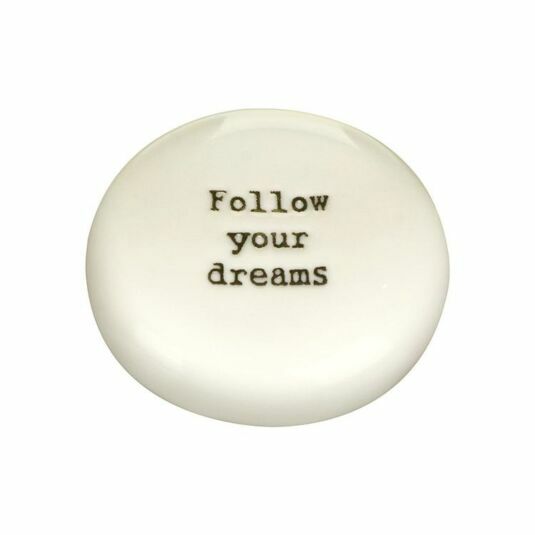 Fashioned into the polished shape of a beach pebble, this sentiment reads the words ‘Follow Your Dreams’ in a classic black font almost pressed into the stones front. 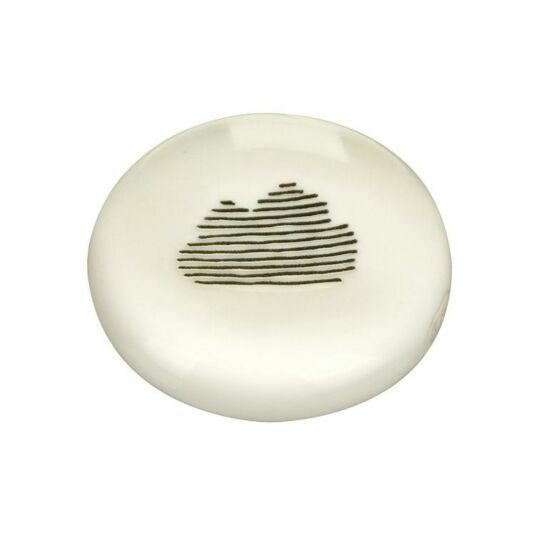 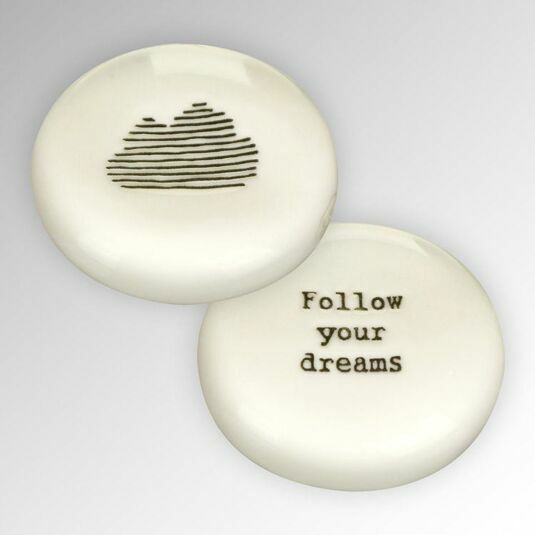 The rear of the pebble showcases a line-drawn cloud illustration to symbolise the quote read on the front of the stone by showing they can soar above the clouds, with the polished finish on the pebble making both text and drawing shine. 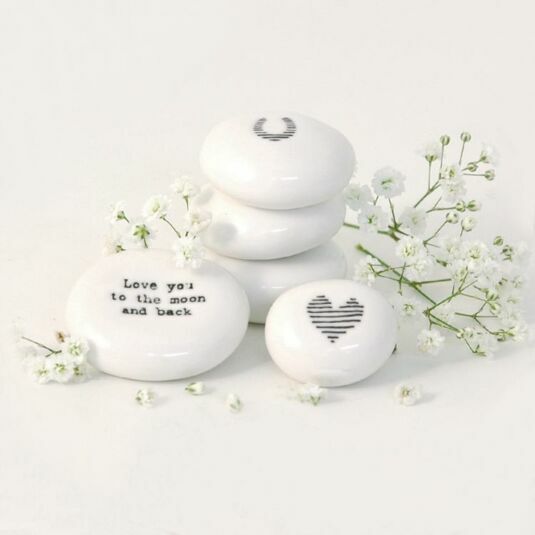 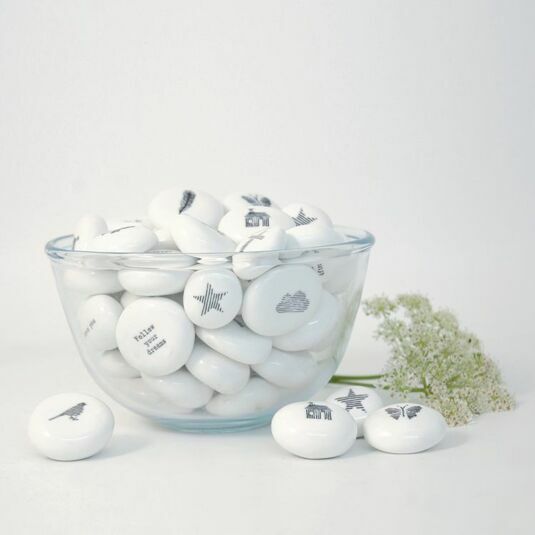 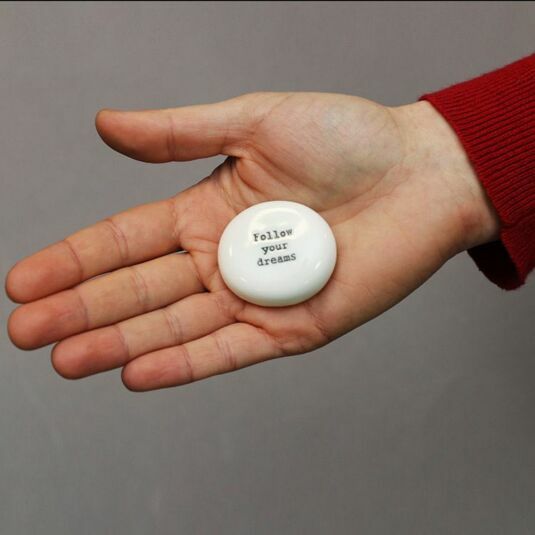 This East Of India ‘Follow Your Dreams’ Sentimental Pebble would make the most touching gift to give to a cherished partner, beloved best friend or a devoted family member to let them know how much they truly are loved and thought about.